The cast of director Oliver Stone's Untitled Edward Snowden Project continues to grow, with Nicolas Cage signing on to star. The actor will play a former U.S. Intelligence official, although no further details were given regarding his character. This project marks the second time he will work with Oliver Stone, following the 2006 9-11 drama World Trade Center. 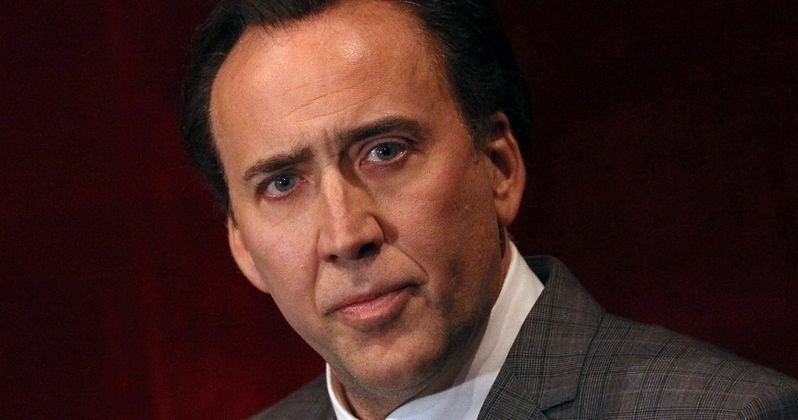 Nicolas Cage joins a cast that already includes Joseph Gordon-Levitt as Snowden, the whistleblower who leaked thousands of NSA documents that uncovered the agency's spy tactics. The supporting cast includes Shailene Woodley as Snowden's girlfriend Lindsay Mills, Melissa Leo as journalist and Citizenfour filmmaker Laura Poitras, Zachary Quinto as attorney and journalist Glenn Greenwald, Tom Wilkinson as The Guardian journalist Ewen MacAskill and Timothy Olyphant as a CIA agent who befriended Snowden. Rhys Ifans and Joely Richardson have also been cast in unspecified roles. Kieran Fitzgerald (The Homesman) co-wrote the script with director Oliver Stone, with Moritz Borman and Eric Kopeloff producing alongside the director. The script is based on numerous sources including The Snowden Files: The Inside Story Of The World's Most Wanted Man, a book by Guardian journalist Luke Harding and the novel Time of the Octopus, written by Edward Snowden's Russian lawyer Anatoly Kucherena, which centers on an American whistleblower in Russia as he waits for Russia to approve his request for asylum. Production is scheduled to begin in March.